At the end of the month, UK television shows will be mandated to show a logo demonstrating whether they've had paid for product placements. The BBC note that while the UK has restricted advertising of products to commercial breaks, the US have been far more happy to endorse products in programming. Especially films, which we'll have a quick look at here. 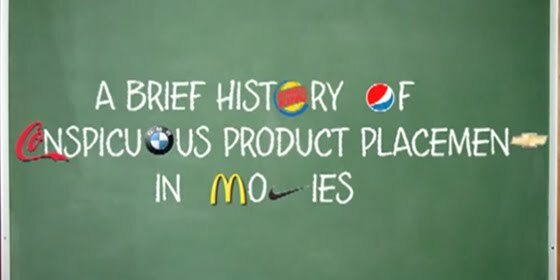 The good folks over at Filmdrunk have put together a compilation video (embedded below) charting a history of product placement. The most ridiculous product placement I've seen is probably in 'Evolution' which basically is a feature length advertisement for a popular shampoo brand. 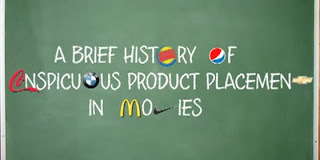 Perhaps fortunately, there'll be strict rules on the types of products that will be able to be placed in UK TV shows and also what shows will be able to use product placement. For example, children's and current affairs programming will not be allowed to use paid for product placement. But is this a slippery slope? Will anyone really care? I'm not so sure.